tvONE has announced the recent appointment of Nick Frush to the Southwest & Central Regional Sales Manager position. 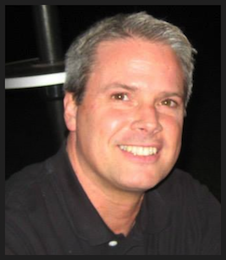 Nick has an extensive sales background with nearly 20 years of experience in the AV Industry. He was tvONE's former Midwest Regional Sales Manager, and prior to that, the Central Regional Sales Manager for Magenta Research. Nick has also held other various roles on the systems integration side. He has a proven track record for generating new business in both manufacturing and systems integration. Nick is in the process of relocating to Denver, CO and will manage tvONE's sales efforts in Southern California, Colorado, Arizona, Nevada, Utah, Minnesota, Wyoming, Montana, North & South Dakota, Nebraska and Iowa. "Nick is a proven sales leader at tvONE," said Andy Fliss, director of sales and marketing. "His passion for the industry and experience in the commercial AV market positions us for even greater growth. He has an extensive record of boosting sales and creating strategic customer relationships—I am delighted Nick has accepted this new role."